No matter what size your garden is, there's always room for a rosebush. Create vertical interest with fragrant Climbing Roses, and accent those sunny corners and borders with Miniature Roses. Potted Roses are great for patios and apartment balconies, even tabletops. A rose collection adds fragrance to your garden and an abundance of blooms for bouquets. Today's selections offer all the beauty of roses without the fuss. Here's a guide to deciding which type is best for you. By far the most popular, these roses have large, fragrant flowers on long stems ideal for cutting. Tall, upright bush forms qualify them as ideal specimens or accents. They also work well in group plantings. Protect them where winters are severe. A hardy cross between Hybrid Teas and Floribundas, these plants make excellent tall screens and provide an abundance of cut flowers. Some types bear one bloom per stem, others produce clusters. Carefree, colorful plants bloom spring through fall. Low and bushy, they're naturally disease resistant and are considered the mainstays of the landscape. Use them in shrub borders, mixed perennial beds or in containers. Cover a fence, trellis or arbor by anchoring the graceful, long canes of these hardy selections. They'll grow to 20 feet and longer, perfect for framing an entry, accenting a pillar or wall, or even rambling down a slope. 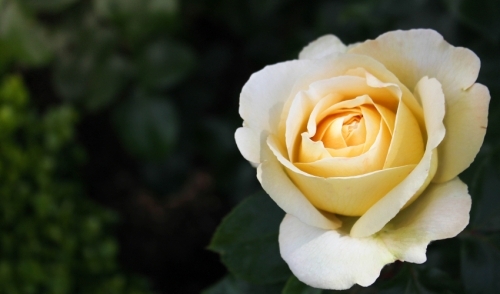 From low-growing groundcovers to hedge-type shrubs, these hardy roses offer low-maintenance, long-lasting beauty in a variety of landscape settings. Perfect accents for small spaces, these roses provide extravagant color in an almost endless variety of uses. Try one as an accent for an entry, patio or landscape. Use several to line a walkway, drive or bed. Upright, climbing and trailing forms mimic their bigger cousins. Miniatures are fun and easy to grow - you can even use them indoors in a bright window. Outdoors, plant them in containers or in groups in the garden. Stagger them in rows for a soft, rounded effect.